When the word “RIGHT” is read, guests should pass their gifts to the person on their right. When the word “LEFT” is read, they should pass the gift to the person on their left. When the story ends the gift in their hands is the one they keep! 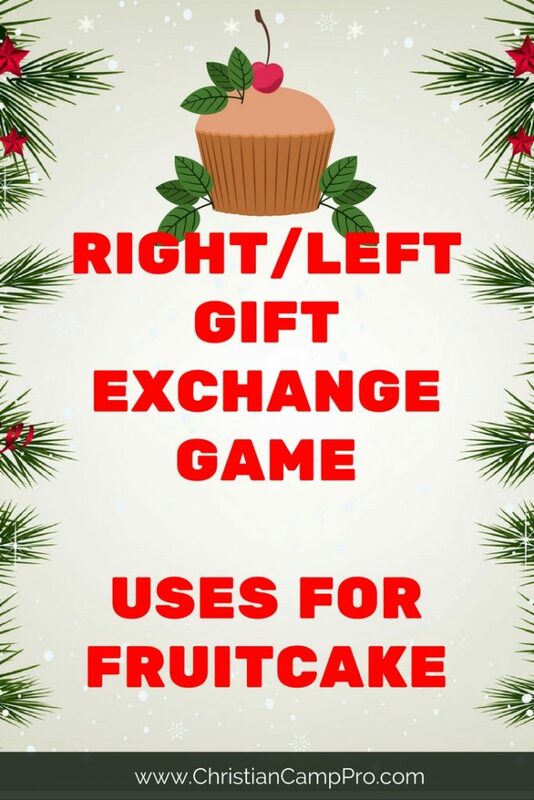 This is a great game for laughs as guests juggle gifts back and forth! Some well-meaning (or maybe not well-meaning) friend or relative has LEFT you with a fruitcake as a holiday gift. Lucky you! You have no clue what to do with the thing other than chuck it out, RIGHT? But wait, before you toss it out, there may be some alternative uses for that lovely, lumpy cake-brick full of red and green bits of gelatinous goo. Fruitcake is uncommonly dense since it’s apparently made of LEFT-over bottle corks and pencil erasers. It could be RIGHT useful as insulation for your house during the cold winter months. A good layer of fruitcake LEFT between your walls could keep your home insulated for at least twenty years without needing to be replaced! If you aren’t in need of insulation, that fruitcake you’ve been LEFT with could come in handy as a door-stop. Just stick it RIGHT in front of the door to keep it closed or to prop it open. That heavy holiday loaf will keep that door RIGHT in place. If you’re handy with a chainsaw, you could cut your fruitcake RIGHT down into smaller pieces and use them as paperweights. One of those baked boulders LEFT on top of your desk will ensure that all your important papers will stay RIGHT where they are supposed to. Maybe you’ve had the misfortune to have more than one fruitcake LEFT on your hands. If that’s the case, don’t despair. Those festive fruit-filled treats are RIGHT handy when you need to jack up the car to rotate the tires. A fruitcake thoughtfully LEFT in your boat makes an excellent emergency anchor. A lopsided sofa can be fixed RIGHT up with a fruitcake stuffed under a leg. There are plenty of uses LEFT for that nutty little lead loaf. Gather a bunch of fruitcakes RIGHT up and use them to build the garden shed or man cave you’ve always dreamed of having. 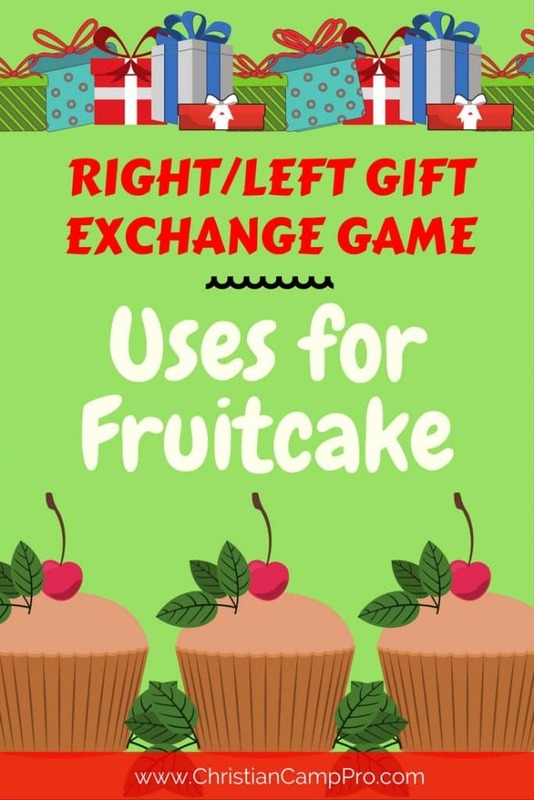 Fruitcakes are RIGHT near perfect for constructing a tornado shelter or fallout bunker. Their density absorbs shock waves and even nuclear radiation and soaks it RIGHT up! Even if construction is not your thing you can find a good use for those LEFT-over cakes. Stack them up RIGHT behind your house and use them as fuel for your furnace or fireplace. Use them in the kitchen to tenderize steaks. Fruitcakes can be used to crack walnuts RIGHT open with little effort. They are also great for making Chicken Under a Brick, for rolling out dough, or for holding your recipe book flat. LEFT-over fruitcakes don’t have to be a nuisance. All it takes is a little creativity to find the RIGHT use for those jolly holiday Lincoln logs. And if all else fails, of course you can always rewrap them and send them RIGHT on to someone else!